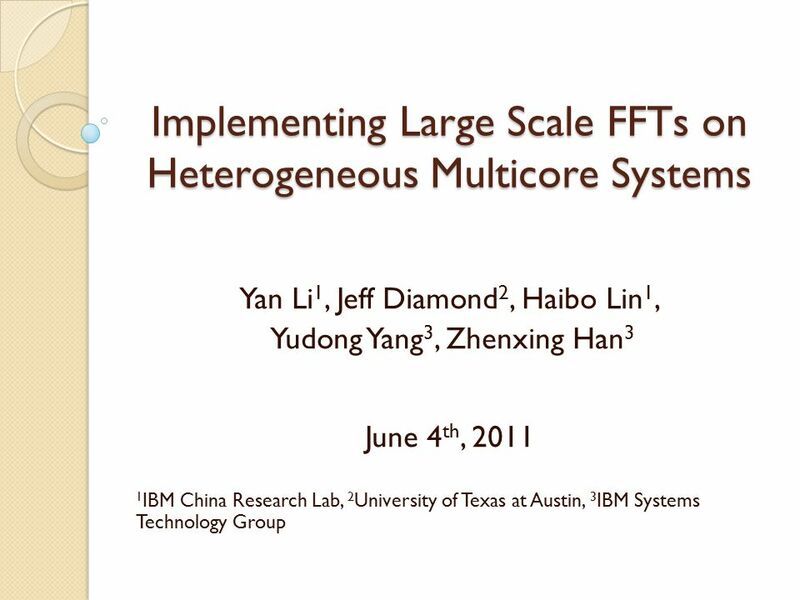 Implementing Large Scale FFTs on Heterogeneous Multicore Systems Yan Li 1, Jeff Diamond 2, Haibo Lin 1, Yudong Yang 3, Zhenxing Han 3 June 4 th, 2011 1. 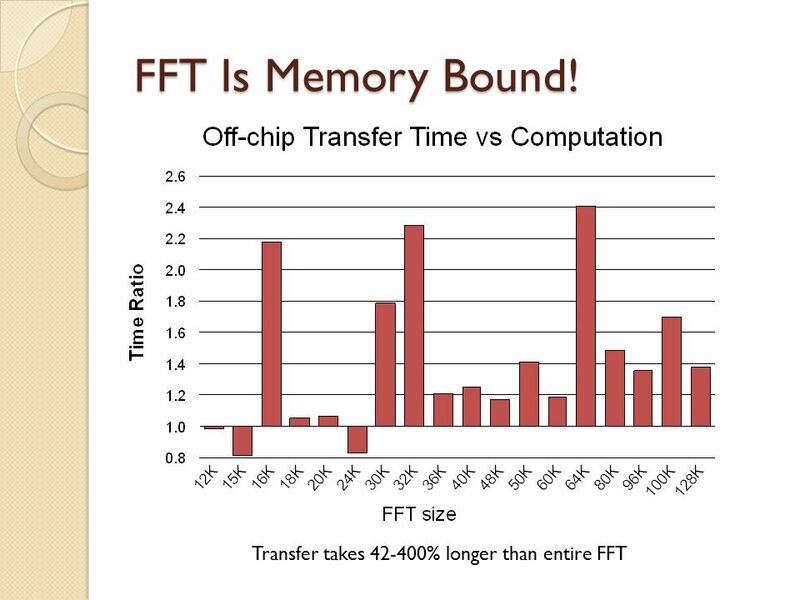 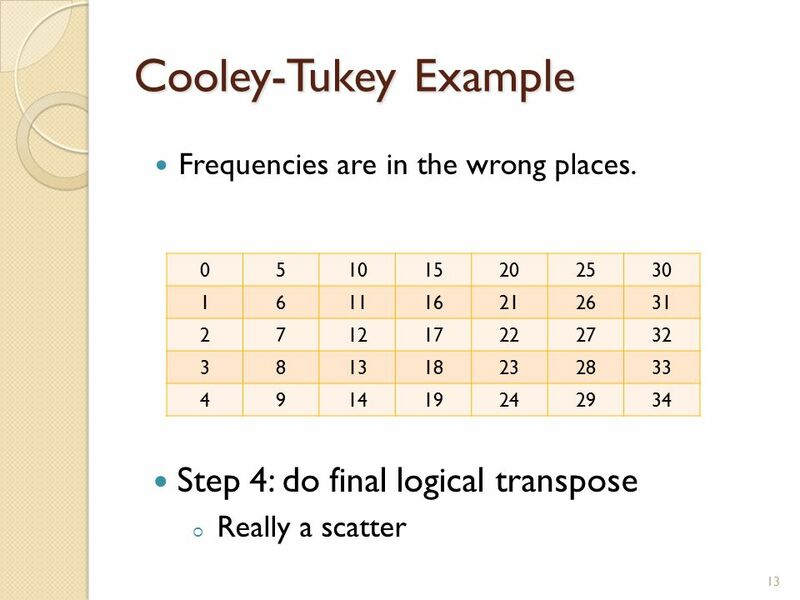 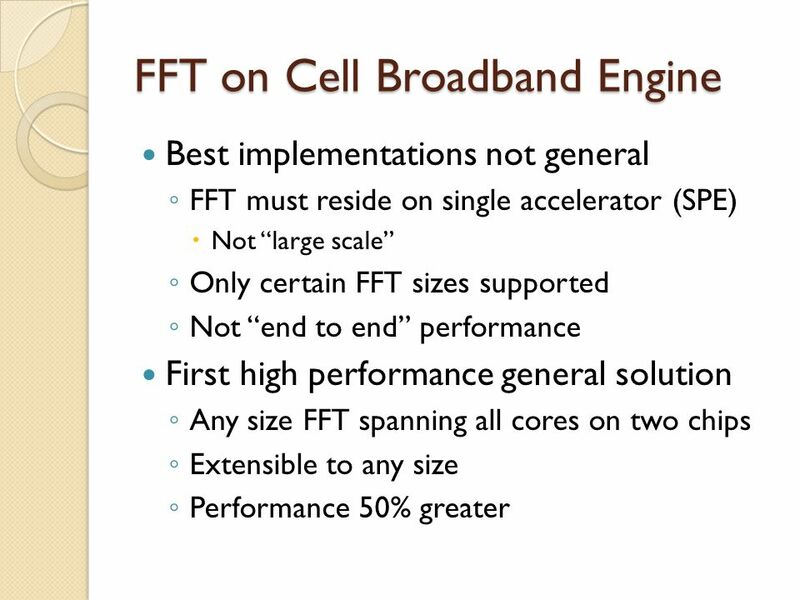 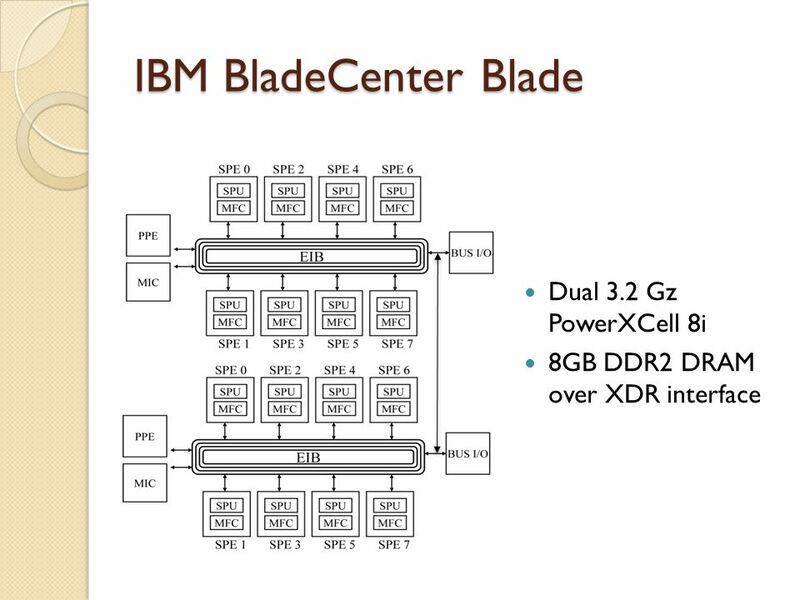 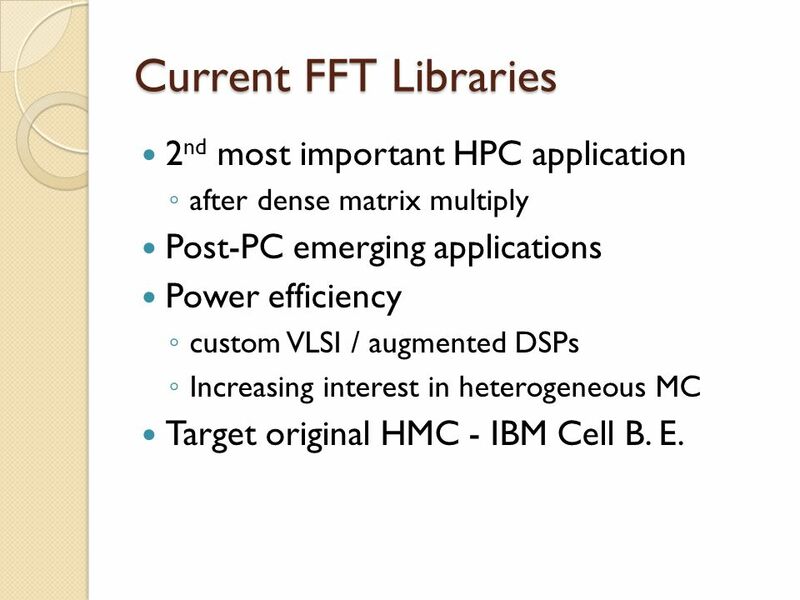 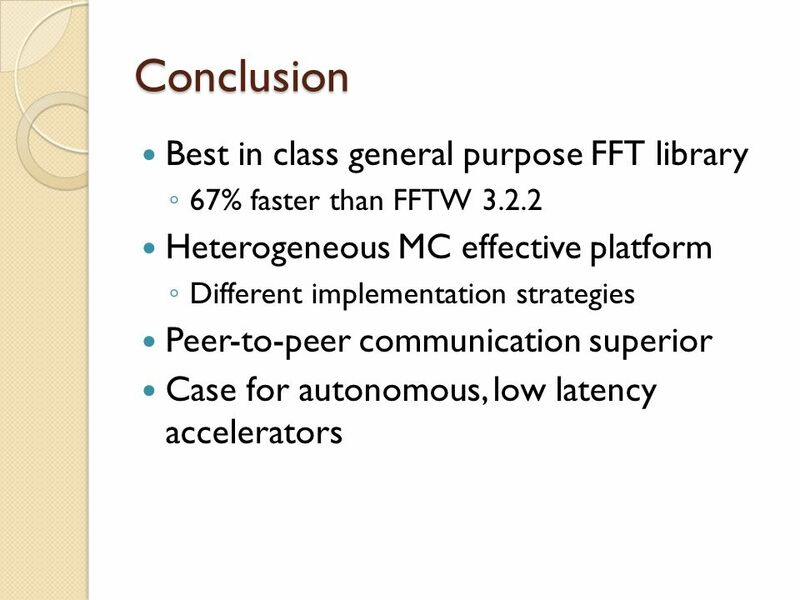 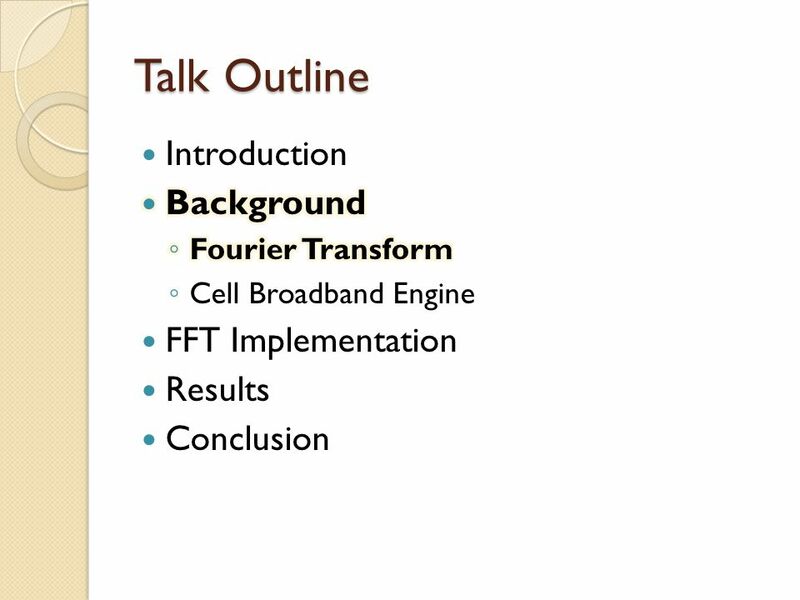 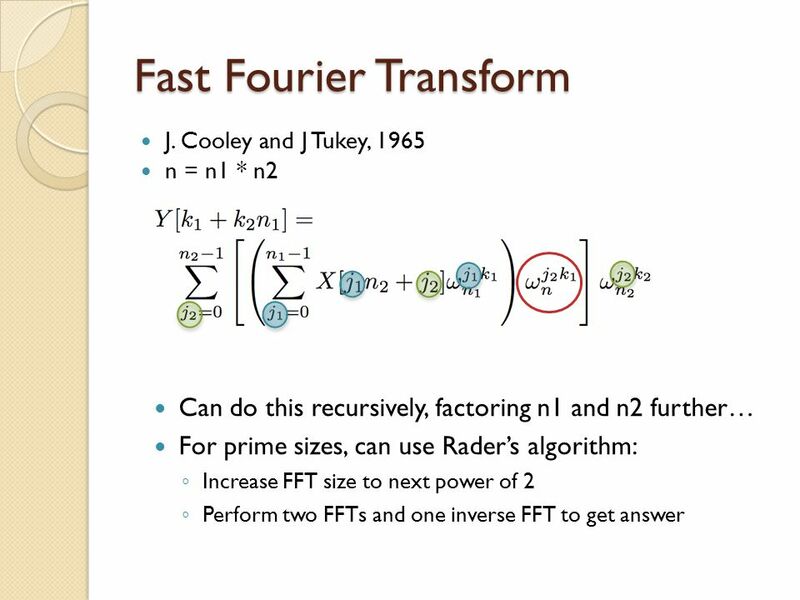 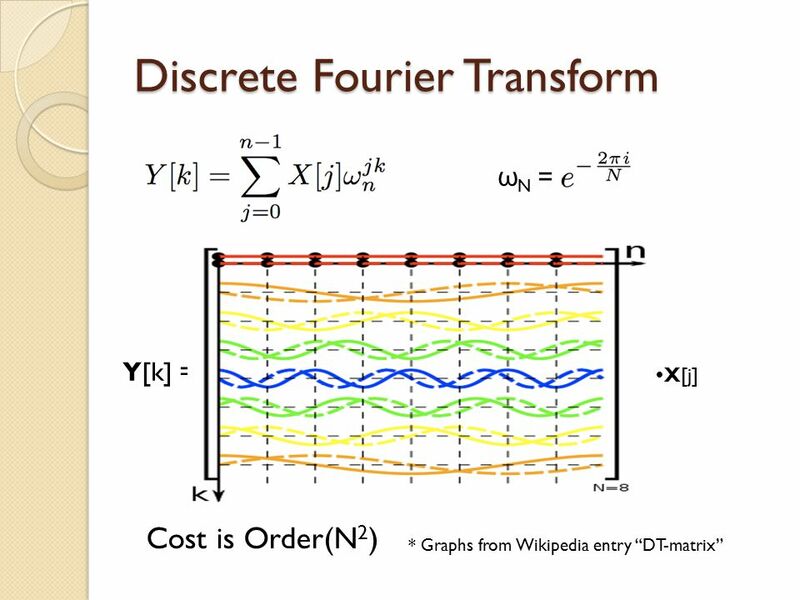 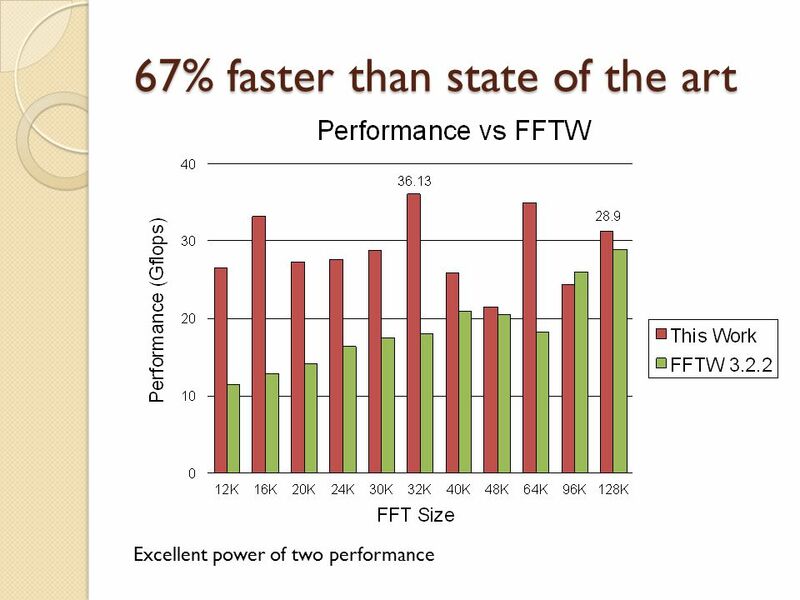 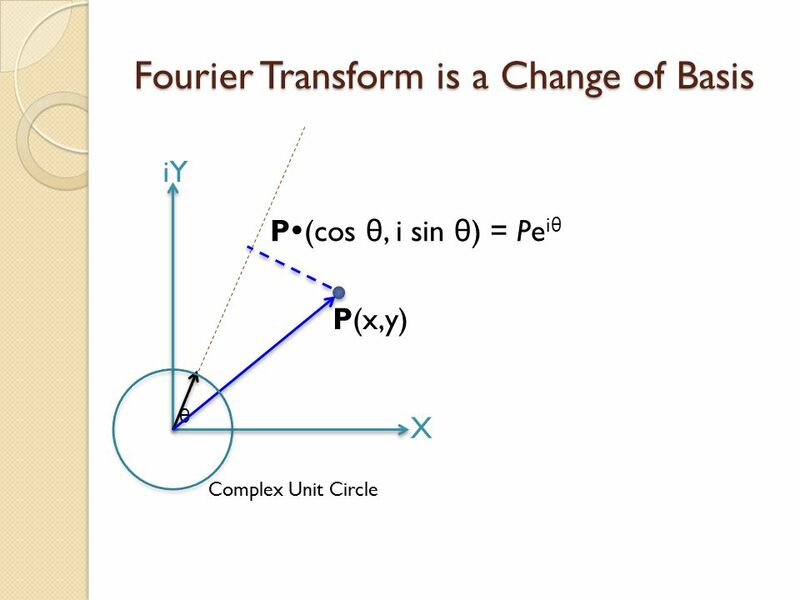 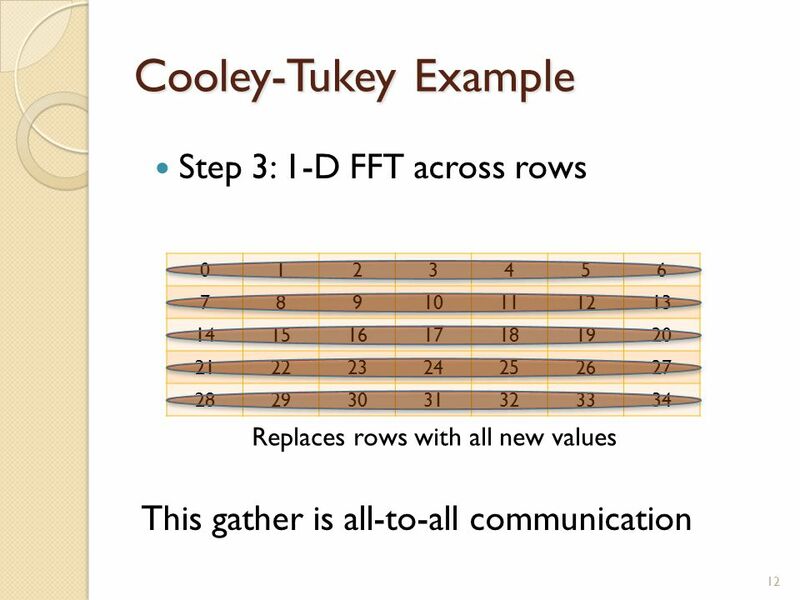 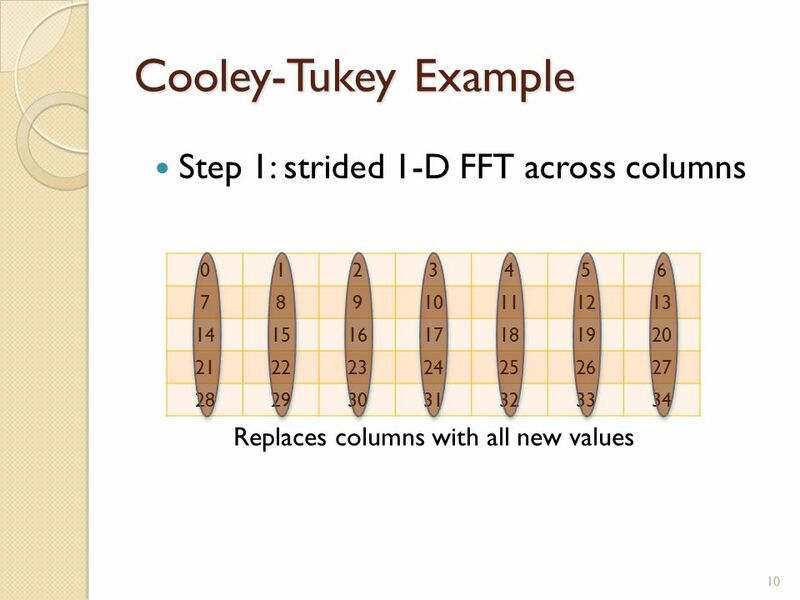 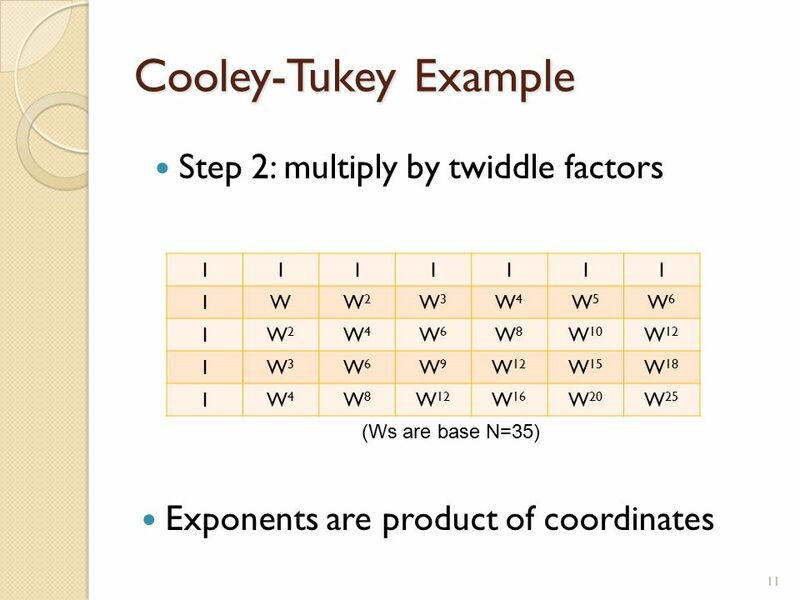 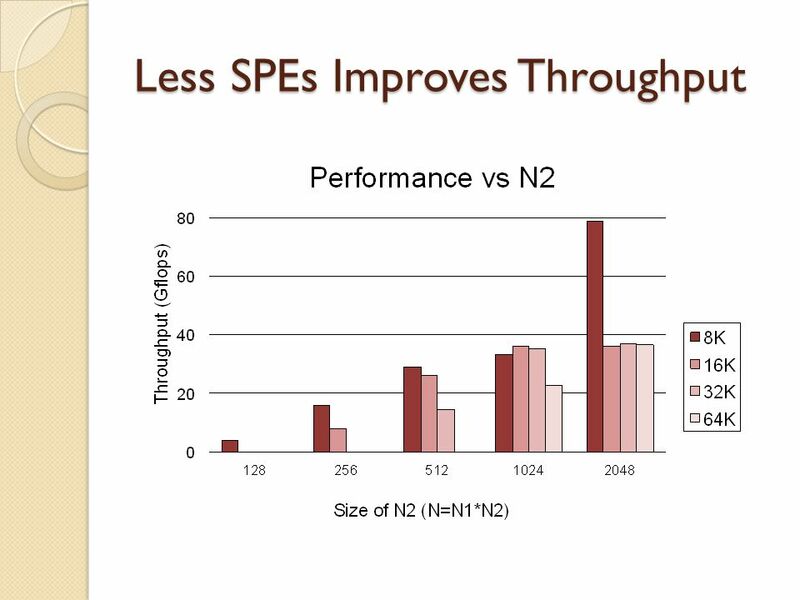 2 Current FFT Libraries 2 nd most important HPC application ◦ after dense matrix multiply Post-PC emerging applications Power efficiency ◦ custom VLSI / augmented DSPs ◦ Increasing interest in heterogeneous MC Target original HMC - IBM Cell B. E.
28 Thank You Any Questions? 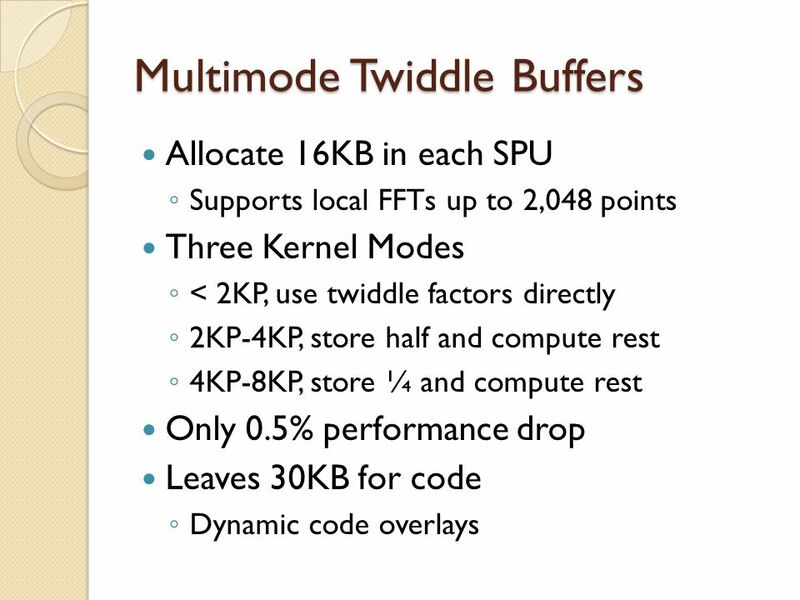 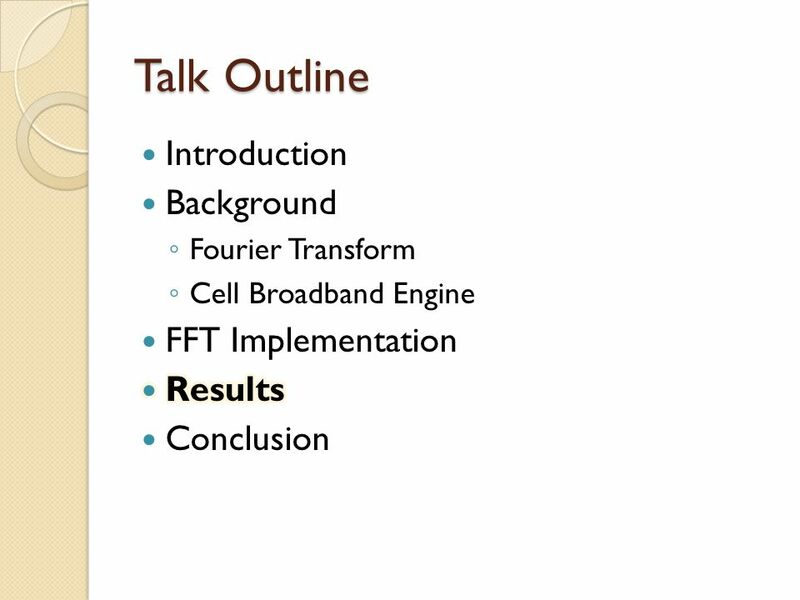 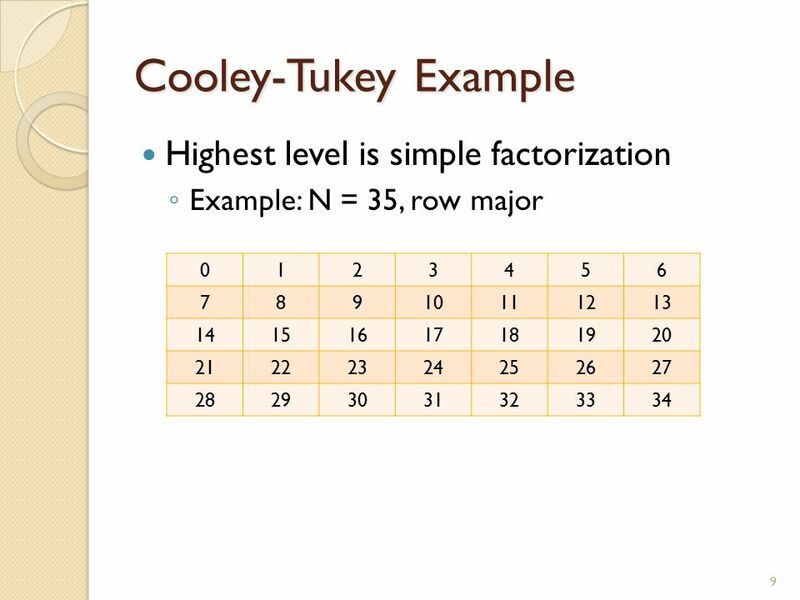 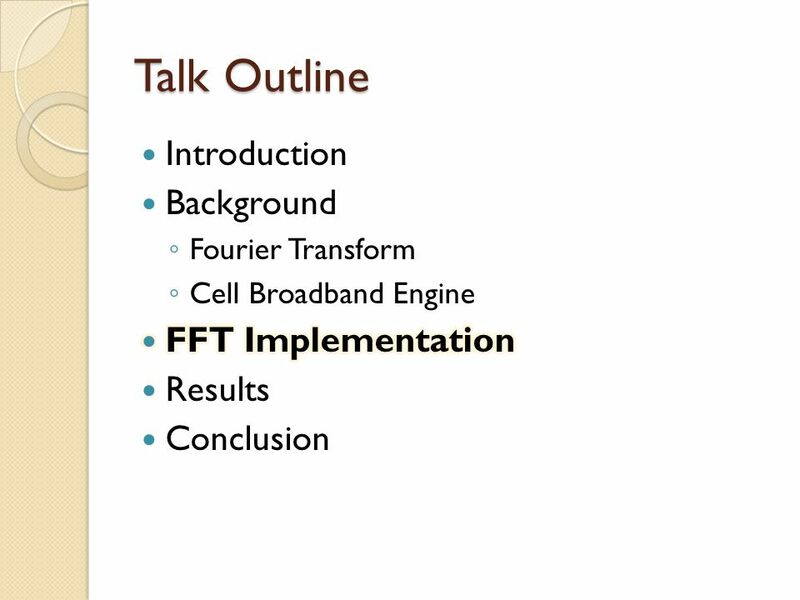 Download ppt "Implementing Large Scale FFTs on Heterogeneous Multicore Systems Yan Li 1, Jeff Diamond 2, Haibo Lin 1, Yudong Yang 3, Zhenxing Han 3 June 4 th, 2011 1." 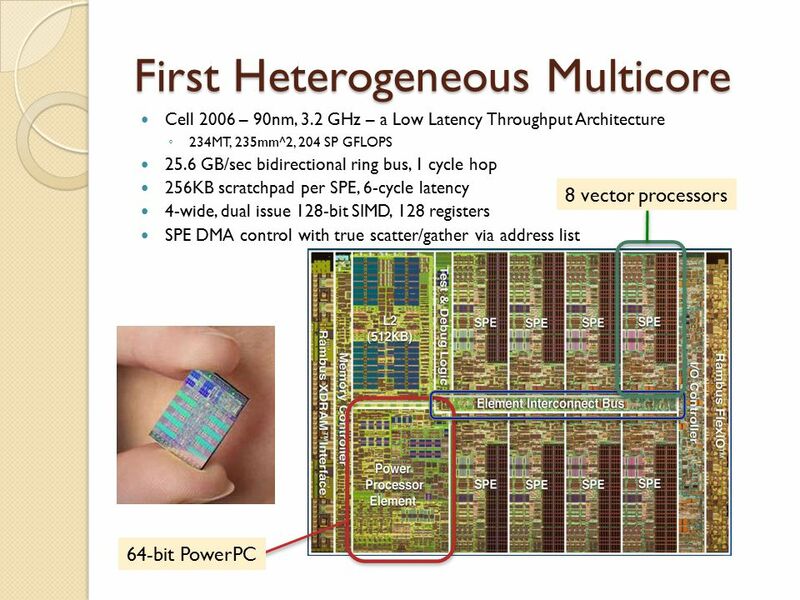 1 Networks for Multi-core Chip A Controversial View Shekhar Borkar Intel Corp. 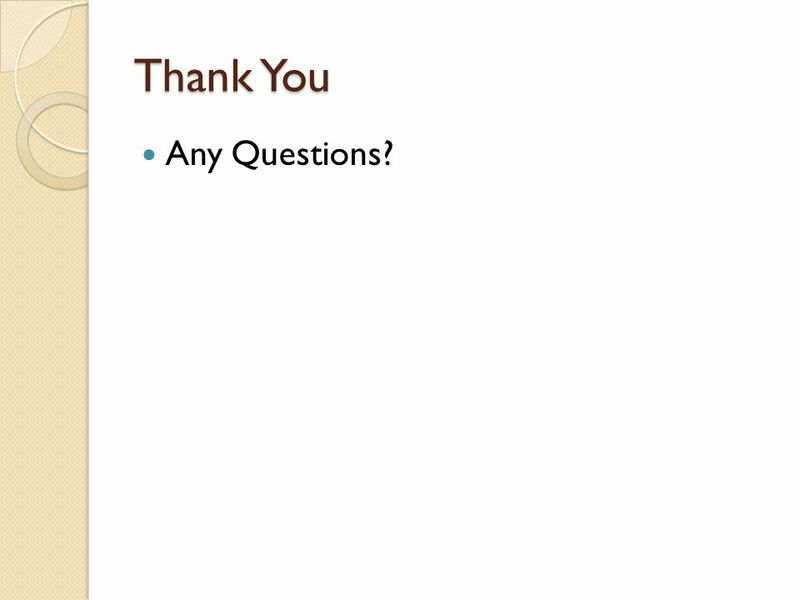 Explicit HW and SW Hierarchies High-Level Abstractions for giving the system what it wants Mattan Erez The University of Texas at Austin Salishan 2011. 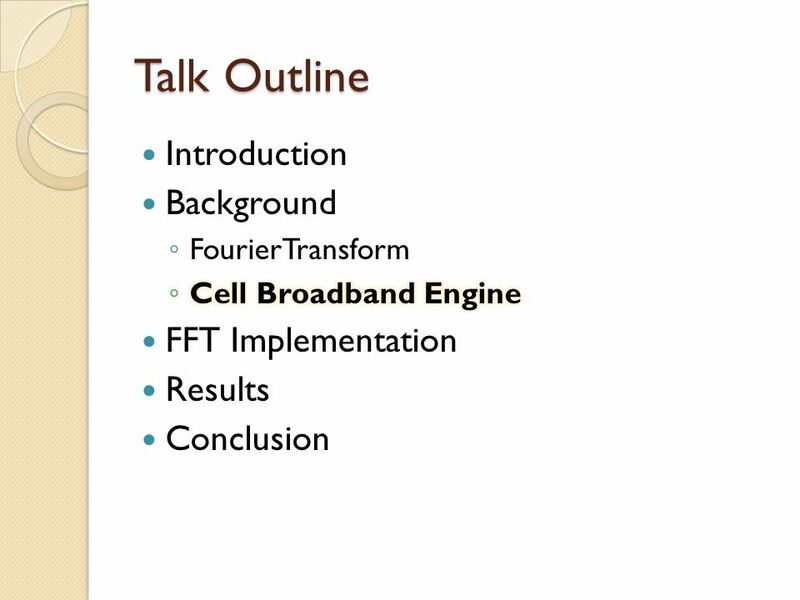 11 1 Hierarchical Coarse-grained Stream Compilation for Software Defined Radio Yuan Lin, Manjunath Kudlur, Scott Mahlke, Trevor Mudge Advanced Computer.